“In April 2015, we hosted the 17th International Vasculitis and ANCA Workshop in London, attracting attracted more than 600 delegates. We realized early on that we would need the assistance of an event management company and were fortunate to be put in touch with BioMedEx. Uta and Helen’s understanding of the aim of our Workshop came through clearly, and their experience and professional approach was evident from the beginning. Every aspect of their service, both pre-event and on-site management, including liaison with the venues and sponsors, design and production of all Workshop materials, and management of the abstract submission process and online registration, was provided without fault. Worth a particular mention is Helen’s eye for detail which was exceptional! Uta Boeger-Brown, in her position as director of BioMedEx, was financial manager and membership administrator for LARP Society from 2010 to 2015. This UK charity was established in 2010 for scientists with an interest in research in the la- and La related family of proteins. Although small, the charity operates internationally with members from Canada, Japan, USA, Europe and UK. Meetings are held in different countries on alternate years and finances are limited and require careful management. Uta proved to be totally indispensable and has my full recommendation. She has great attention to detail, considerable experience in conference management and fantastic negotiation skills. In addition to organising the conference meetings, BioMedEx provided regular financial reports, arranged a payment system on the LARP Society website for conference registration and provided continuous advice and support to the Trustees. “I first had the pleasure of working with BioMedEx at a meeting of three of the biggest Learned Societies in the UK in Glasgow in 2007. This was the first truly joint meeting partnering The Physiological Society, the British Pharmacological Society and The Biochemical Society. BioMedEx managed our trade exhibition and sponsorship elements with professionalism and they sure delivered. Since then I have considered BioMedEx the go to company for trade exhibition and sponsorship management. 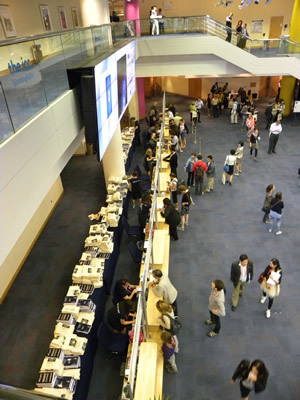 In 2013, The Society hosted the International Union of Physiological Sciences Congresses in Birmingham. We engaged BioMedEx again and also contracted them to run our registration services. 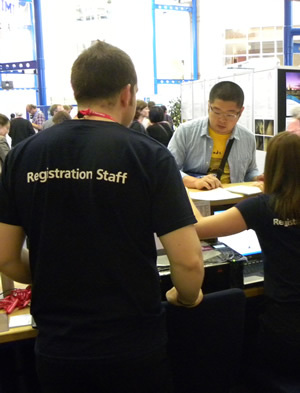 With over 3000 participants descending on us in Birmingham, this was the best decision I have ever made and registration ran seamlessly. 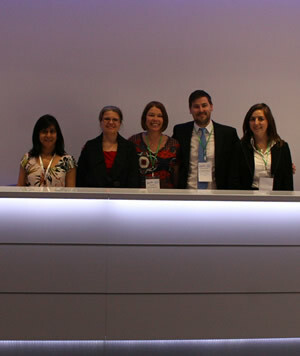 “BioMedEx have been providing conference management services for the Britain Against Cancer conference for 10 years. The longevity of this relationship is down to the excellent conference management service that we receive from BioMedEx. I have been working on this project for two years and really enjoy working with Uta and the BioMedEx team. They are always professional, thoughtful and knowledgeable about putting together healthcare conferences. BioMedEx provide a variety of functions for the conference management of Britain Against Cancer, including: budgeting, liaising with speakers, developing a marketing and advertising strategy, organising the venue and catering, processing delegates, and providing a full range of supportive services at the event itself. BioMedEx always make sure that I am fully up to date with activity that they are doing for the conference and ensure that I am consulted/communicated with at appropriate times and in appropriate ways. What is particularly important for me is that I am able to trust BioMedEx to engage directly with third parties involved in the conference, including speakers, the venue and delegates. When BioMedEx is operating in this capacity I am always confident that they are representing the conference, the All Party Parliamentary Group on Cancer (who host the conference) and Macmillan Cancer Support (who provide the secretariat to the conference) in the best possible light. “I found BioMedEx to be highly professional, organised and approachable. They are also very knowledgeable about scientific conferences and the requirements of such events. “Cancer Research UK has worked with BioMedEx on Scotland Against Cancer on five separate occasions. We have found BioMedEx to be organised and professional in their dealings with Cancer Research UK, and conference speakers, delegates and sponsors. In the pre-planning stages, BioMedEx ensure that we are kept up to date with developments, and informed of any issues arising at the earliest possible opportunity. They manage all secretarial services for the conference and are prompt and business-like in their management of funds and third party contracts. On the day of the conference, BioMedEx manage front of house and behind the scenes arrangements and work with the conference team to ensure the smooth running of the conference. In 2006, when we experienced significant difficulties with the venue, they worked hard to resolve these at the time, and advised on follow-up after the conference. In addition, BioMedEx have proved themselves to be very diligent in following up with contacts, whether to secure biographies, AV requirements etc. for participants in advance of the conference, or to ensure the receipt of all delegate fees and sponsorship monies after the conference.